FROM I-465 TAKE EXIT 21, 71ST STREET. GO WEST ON 71ST STREET,TOWARDS THE BOB EVANS. TURN LEFT ON MARSH RD.MARSH BECOMES INTECH BLVD.GO PAST THE KINDERCARE AND THROUGH THE ROUNDABOUT.TAKE THE FIRST RIGHT OFF THE ROUND ABOUT AND THEN TAKE A RIGHT ONTO NETWORK WAY. THE OFFICE WILL BE ON THE RIGHT HAND SIDE OF THE STREET. THE DRIVEWAY IS OFF OF NETWORK PLACE. FROM LAFAYETTE RD: HEAD NORTHWEST ON LAFAYETTE RD TOWARDS 71ST STREET. TAKE A RIGHT ONTO 71ST ST.AT MARSH RD TAKE A RIGHT.THEN FOLLOW DIRECT IONS ABOVE. BY BUS: TAKE THE 37 BUS TO INTECH BLVD & INTECH COMMONS DR. The Indianapolis Social Security office is located in Indianapolis 46278. The following page includes information for this location like the office phone number, hours of operation and driving directions. If you have any interests or comments about your retirement benefits or are interested in making an appointment, call the following Indianapolis Social Security office. The Indianapolis Social Security office is located in Indianapolis 46278. The following page has information for this location like the office phone number, hours of operation and driving directions. 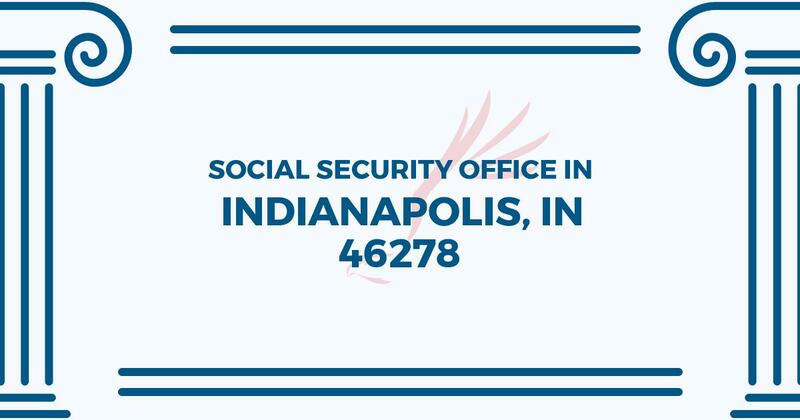 If you have any curiosities or worries about your Social Security benefits or are interested in planning an appointment, call the following Indianapolis Social Security office. Staff was courteous, professional and quite thorough with the information I needed. They answered all questions and explained what I would paperwork I would need at the next visit. I arrived at 10 AM and was out at 10:15 AM. Great! I came to this location again recently. All of the above again. Profesdional, courteous, helpful. The best Governmental Service Office that I’ve ever had to access. Yes your office owes me a back pay and congress will be speaking on my behalf over one of your reps errors you not suppose too take all of that only $40-$50 out of my SSI check this happen 12 years ago and the rep had said she took mine and gave it too my 3rd husband at that time I have tried and asked for this back without no response on anyone at your office when it was on Lafayette Road. You owe me back pay the local office can not handle this where I live at in Noblesville. They messed mine up and are paying there’s back now you have to pay your back I tried too tell the people at your office on the phone and also the main number and no one never put it back into my back account. You owe it back.